We generally take those comments very seriously. If we have an agenda, it’s that we hate being wrong. That’s not to say we don’t make mistakes, because we do, for any number of reasons. Sometimes our notes get garbled. Sometimes our sources were incorrect about something we didn’t realize. (Just because something is in print doesn’t mean it’s right.) Sometimes, we took a guess and got it wrong. If we make a mistake, we have a strong interest in fixing it. Our goal is for these articles to be canonical, something to which people can return as a reliable reference. We can’t cover every detail, and we recognize that we’ll never be able to match the detailed technical knowledge of experts in a specific vehicle or marque. (That’s why we won’t try to tell you how to troubleshoot mechanical problems, or how to authenticate or restore some collector car; we’re really not qualified for that.) However, we want the facts we do present to be as correct as we can make them. The next thing we do is consider whether the commentator is taking issues with our facts or our conclusions. We make no pretense of pure, Platonic objectivity. We take it for granted that some readers will look at the facts and draw their own conclusions; we do that all the time. We do sometimes reevaluate our theses, especially if they were based on incorrect assumptions, but we aren’t necessarily going to edit the text to accommodate differences of opinion. If neither of those possibilities covers it, then we consider that the commentator may have information our sources didn’t cover. If that happens, we usually ask the commentator for their sources, so we can evaluate them. To our great frustration, those requests are usually ignored, which leaves us to do our own investigation. As a case in point, a reader recently commented that our article on the Hydra-Matic omitted Oscar Banker, whom the commentator claimed was the inventor of the Hydra-Matic’s semi-automatic predecessor, the Automatic Safety Transmission. We reexamined our various sources for that article, and found that they made no mention of Banker. That isn’t necessarily conclusive; even official histories often mention only key executives. If you read a lot of automotive histories, you might think that Harley Earl and Bill Mitchell personally designed every GM car made from around 1930 to 1980. Even the heads of the various design studios are seldom mentioned, let alone the individual stylists and modelers who created the actual designs. If people left the company during the development process, their names often vanish from the official account in thoroughly Orwellian fashion. A web search found mention of Oscar Banker in a variety of websites related to Armenian culture. Oscar H. Banker, 1894-1979, born Asadoor Sarafian, was an Armenian immigrant who lived in the Chicago area. Several of those references claim that he invented the first “practical” automatic transmission in the mid-thirties. Some suggest that he worked with GM engineers on the Automatic Safety Transmission, but that GM made various changes to the design of which Banker did not approve. 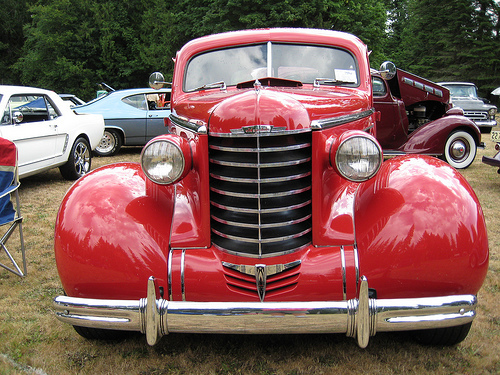 Hydra-Matic was first offered on Oldsmobiles in 1939, on that division’s 1940 models. In 1949-1950, GM began selling Hydra-Matic to a variety of other automakers, including Hudson, Kaiser, Lincoln, and Nash. This 1954 Nash Ambassador Custom is equipped with the Dual Range Hydra-Matic introduced in 1952. We should make clear that our interest is in the second claim — the first we’re inclined to dismiss out of hand. Identifying the “first” of anything, in a technological sense, is a difficult and futile endeavor; many things are tried decades before they become workable or popular. It’s hard to say definitively that a single individual invented the first “X,” because there’s no guarantee that someone’s mad uncle Oslo didn’t devise the same principle in his barn back in 1902, with a patent to prove it. (Your author’s father claims to have had the idea for the minivan years before Chrysler’s T-115 Voyager/Caravan, but we’re not holding our breath waiting for royalty checks.) Many engineers were working on automatic transmissions of various sorts well before World War 1. Some of them even worked, if not very well, which could also be said of the troublesome AST. We found little useful material on Banker on the web. It appears that he had a son, Oscar H. Banker, Jr., and that he and his wife eventually settled in Bay Village, Ohio, a suburb of Cleveland, where Banker died in January 1979 at the age of 83. A discussion group archive had what appears to be a passage from some uncredited source, describing Banker demonstrating his prototype transmission to GM research chief Charles Kettering (presumably in the mid-1930s, although it’s not specified). The blog of author Robert Hull included a reminiscence of meeting Banker, but contained few solid facts. We found that Banker wrote a paper for the SAE in early 1946 entitled “Ten years’ experience with automatic transmissions in the bus field,” to which we unfortunately don’t have access, and that he received the Automotive Hall of Fame’s Distinguished Service Citation in 1969, an award also given to notable automotive engineers, designers, and executives like Ed Cole, L.L. “Tex” Colbert, Charlie Sorenson, and Brooks Stevens. There was mention of Banker in Ralph Nader’s 1965 book Unsafe at Any Speed: The Designed-in Dangers of the American Automobile. We discovered that Bob Hull published Banker’s memoir, Dreams and wars of an American inventor: (an immigrant’s romance), in 1983, apparently released under Hull’s own imprint, but it’s long out of print, and neither the Los Angeles city nor county library system has a copy. A number of out-of-state libraries have copies only in non-circulating reference collections, which doesn’t help. All of this was intriguing, but frustratingly vague. The Automotive Hall of Fame and SAE references suggest that Banker was an engineer of some note, but we couldn’t find any detailed record of his work. We still had one other resource to tap, however: the records of the U.S. Patent and Trademark Office. A patent search confirmed that Banker was indeed a prolific inventor: he was granted a lengthy list of patents between 1919 and 1976, in a variety of fields. His transmission patents range from automatic clutches to spur-gear automatic gearboxes and an early torque converter automatic transmissions. The aforementioned 1946 SAE paper indicates that at least some of these designs later saw use in buses and perhaps trucks, although we were unable to find any details. The patent that most gave us pause was U.S. Patent No. 2,262,747, applied in September 1936 and issued in 1941, simply entitled “Automatic Transmission.” This was not Banker’s first or only automatic design, but it was the first that bore any significant to the GM designs of this period. The abstract of this patent suggested some similarities to the Automatic Safety Transmission. 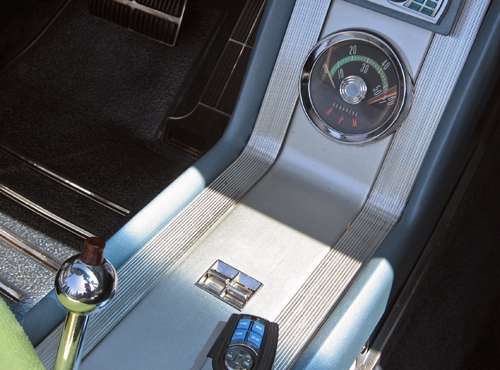 Banker’s transmission was a four-speed planetary transmission that shifted automatically from first to third to fourth, just as the AST did. The abstract further described the strategy of the gear ratios: that it was intended to be used with a low numerical axle ratio for more relaxed cruising speeds and better fuel economy. GM applied the same strategy to both the AST and the four-speed Hydra-Matic. Was Banker’s transmission the AST? Before jumping to any conclusions, we took a closer look at both Banker’s patents and the patent records of Earl Thompson and Oliver Kelley, who led GM’s Transmission Development Group. A further search of Banker’s patents (which numbered more than a dozen related to automatic transmissions) revealed that he did not design one transmission, but at least four distinctly different ones, each of which went through several iterations. While some of them bore certain resemblances to the Automatic Safety Transmission or GM’s later fully automatic Hydra-Matic, there were also some dramatic differences. First, not all of Banker’s designs used planetary gearsets and not all of them used two gearsets in series as did the GM transmissions. Second, with a few exceptions, Banker’s designs that did use planetary gearsets eschewed brake bands in favor of one-way (overrunning) clutches; the GM designs used bands until the advent of the second-generation, dual-coupling Hydra-Matic in the mid-fifties. Third, and perhaps more significantly, all of Banker’s designs were purely mechanical, using one or more centrifugal governors to execute each shift. 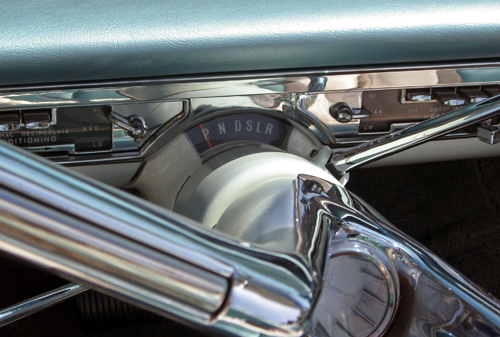 The heart of the Automatic Safety Transmission and Hydra-Matic was a hydraulic control system that functioned like an analog computer, controlling shifts based on a series of inputs signaled by changes in hydraulic pressure. The GM design to which Thompson’s aforementioned 1936 patent bore the most resemblance was once filed by Earl Thompson (and assigned to GM) in 1932, which combined a set of spur gears with an automatically controlled planetary overdrive. Thompson filed subsequent patents in 1934, 1935, and 1937 that used two planetary gearsets in sequence (one manually controlled by the driver, the other automatically by a hydraulic governor) and laid out most of the parameters of the production Automatic Safety Transmission introduced in 1937. An additional patent in 1938 outlined a more sophisticated hydraulic control system similar in operating principle to the one eventually used by the production Hydra-Matic. The latter appears to have evolved primarily from patents filed between 1937 and 1939 by Thompson’s colleague, Oliver K. Kelley, who introduced the three planetary layout of the the eventual production Hydra-Matic. Oscar Banker is mentioned in Ralph Nader’s Unsafe at Any Speed, again in connection with GM transmissions. Nader mentions that during an SAE presentation on the new Roto Hydra-Matic in early 1961, Banker questioned why it retained the NDLR shift pattern of the earlier Hydra-Matics (and early Powerglide and Dynaflow transmissions). Afterward, Banker wrote a letter to GM president Jack Gordon, asserting that the layout was hazardous, because it made it too easy to accidentally shift into reverse while in motion. 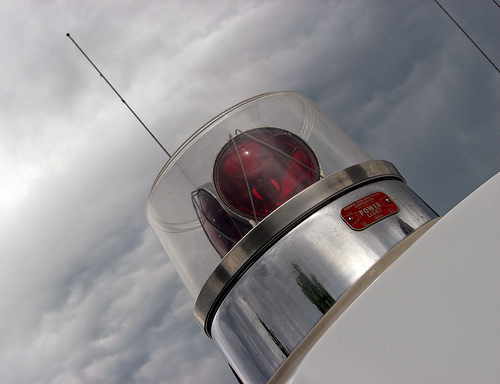 Thanks in part to pressure from Banker and other engineers, the federal General Accounting Office subsequently pushed for standardization of the PRNDL shift pattern for federal fleet vehicles. 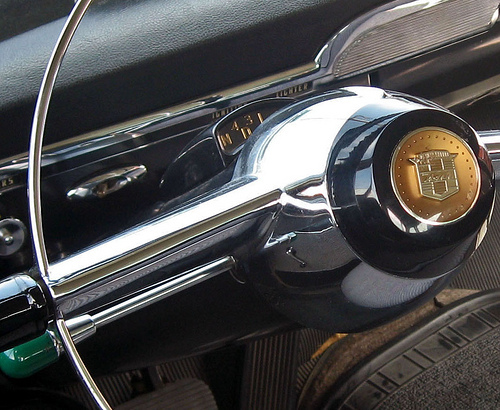 GM finally acquiesced, applying the PRNDL pattern to all its transmissions by the 1966 model year. Those criticisms don’t necessarily indicate any connection between Banker and GM. Hydra-Matic was a common and popular design, GM’s patents were a matter of public record, and by 1940 shop manuals and other technical information were widely available. Banker was clearly a talented engineer who worked extensively with transmission design, so it wouldn’t be unlikely for him to have strong opinions about the design, whether he was directly involved with its development or not. All of this is an example of what’s called inductive reasoning. We can make some reasonably logical speculation based on what facts we have, but we don’t have enough information to judge whether or not all our assumptions are correct. In short, the best we can give you is our best guess. So, did Oscar Banker invent the Automatic Safety Transmission? Our guess is probably not. [Author’s note: See the sidebar on p. 2 of the revised Hydra-Matic for my further comments on this issue.] He did patent some comparable designs during the same period and may well have pitched them to GM. However, the patent evidence suggests little real similarity between Banker’s work and Thompson’s. With so little to go, though, we can’t make any authoritative statement, and if we find more information, we may change our tune. Maybe we’ll stumble on some other compelling evidence for a different version of events. If so, c’est la guerre. We wish we had more detailed and reliable information on Banker. Even if his design did not become the AST, it’s clear that he was a talented engineer and a prolific inventor: a patent search on “Oscar H. Banker” returned 17 pages of results. We find it frustrating that we’re not able to provide a clearer picture of his life and accomplishments. Lacking the full picture, though we’ll go with the most reasonable explanation we can muster, based on the facts we do have. Which is, in turn, how we approach the research for each of these articles. Subsequent to the publication of this article, I was contacted by Oscar Banker’s family, who provided me with additional information on Banker’s life, including a copy of his memoir. Unsurprisingly, some of my deductions were rather off-base. I hope to do a follow-up piece to provide a more complete picture. Again, please do not assume this article is an authoritative reference on Banker! Our scant online sources on Oscar Banker included Automotive Hall of Fame: Distinguished Service Citation list, www.automotivehalloffame. org; Demirdjian Enterprises, Inc., “Armenia: Contributions” (11 January 2009, www.jdemirdjian. com, accessed 3 July 2010); Philip G. Gott, Changing Gears: The Development of the Automotive Transmission (SAE Historical Series) (Warrendale, PA: Society of American Engineers, 1991); Bob Hull, “Hull of Fame” (6 October 2002, bhull.blogspot. com/ 2002_10_06_archive.html, accessed 3 July 2010); Stepan Karadian, “Stamps of Armenia Worldwide” (n.d., Cilicia Armenia, www.cilicia. 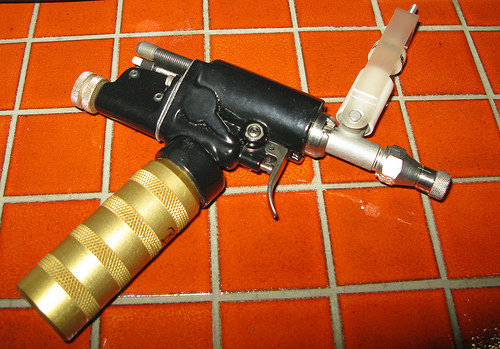 com, accessed 2 July 2010); “Med-E-Jet inoculation gun, United States, 1980,” (n.d., The Science Museum, www.sciencemuseum. org.uk, accessed 3 July 2010); Stepan Partamian, “Yes, We Have” (date unknown, www.yeswehave. org, accessed 3 July 2010); “rod,” “My big fat Greek riot,” (10 December 2008, www.rhythmism. com, accessed 3 July 2010); Social Security Death Index records for Oscar H. Banker; Society of American Engineers, Technical Papers, papers.sae.org/ 460099/, accessed 3 July 2010; and E.K. Zsigmond, MD, DSc, “Jet Anesthesia and Jet Local Anesthesia for the 21 Century,” Journal of the National Medical Association Vol. 94, No. 11 (November 2002), pp. 1004-1006. We also consulted Chapter 2 of Ralph Nader, Unsafe at Any Speed: The Designed-in Dangers of the American Automobile (New York: Grossman Publishers, 1965). Our principal original sources on the Automatic Safety Transmission included “Almost Automatic,” Special Interest Autos #20 (January-February 1974), pp. 24-27; Terry B. Dunham and Lawrence R. Gustin, “Appendix Five: The Buick Shifts for Itself,” The Buick: A Complete History (An Automobile Quarterly Magnificent Marque Book) (Kurtztown, PA: Automobile Quarterly, 1980), pp. 382-389; Jim Dunne and Jan P. Norbye, Buick 1946-1978: The Classic Postwar Years, 2nd. ed. (Osceola, WI: MBI, Inc./Motorbooks International, 1993); Helen Jones Earley and James R. Walkinshaw, Setting the Pace: Oldsmobile’s First 100 Years (Lansing, MI: Oldsmobile Division of General Motors Corporation, 1996); and Maurice D. Hendry, Cadillac: Standard of the World: The Complete History (Fourth Edition update by David R. Holls) (Princeton, NJ: Automobile Quarterly, 1990). Oscar H. Banker, “Power Operated Inoculator,” United States Patent No. 3,292,622, applied 21 September 1964, issued 20 December 1966. Oscar H. Banker, “Gun Type Inoculator,” United States Patent No. 3,518,990, applied 2 May 1968, issued 7 July 1970. Oliver K. Kelley, assignor to General Motors Corporation, “Combination Fluid Turbo Clutch and Variable Speed Gearing,” United States Patent No. 2,176,138, applied 5 February 1937, issued 17 October 1939. Oliver K. Kelley, assignor to General Motors Corporation, “Fluid Flywheel Gearing Arrangement,” United States Patent No. 2,211,233, applied 10 April 1939, issued 13 August 1940. Earl A. Thompson, assignor to General Motors Corporation, “Change Speed Gearing with Automatic Overdrive,” United States Patent No. 2,285,760, applied 6 March 1933, issued 9 June 1942. Earl A. Thompson, assignor to General Motors Corporation, “Change-Speed Transmission and Control,” United States Patent No. 2,195,605, applied 8 October 1934, issued 2 April 1940. Earl A. Thompson, assignor to General Motors Corporation, “Change-Speed Mechanism and Control,” United States Patent No. 2,193,304, applied 16 October 1935, issued 12 March 1940. Earl A. Thompson, “Clutch and Gearing Control,” United States Patent No. 2,362,418, applied 15 March 1937, divided 14 February 1940, issued 7 November 1944. Hardly boring man, actually a great article. I think that almost all of your readers are repeatedly and utterly shocked with the level of detail and research of every article. This little insight into the process is great. Even without the badge of inventing the AST, it seems that Oscar Banker was quite a guy. Small bios of these types of guys are always great to read. It is one reason that I like Dean’s Garage (deansgarage.com.) It gives me a personal insight to the design process… Engineers are just as fun to read about. I enjoyed this article. I agree with Ron. It’s not boring at all. For a company like GM, which had its own corporate engineering research groups, as well as those of the individual divisions, that’s really quite understandable. Even setting aside all issues of company pride, look at it this way: if you had a team that was working for several years, at a cost of hundreds of thousands of dollars, to develop a particular technology, would you be willing to consider an outside proposal? Probably not, since just reviewing it in detail might taint all the work done by your own people, leaving you exposed to patent infringement suits or the need to pay royalties on things your staff had already created. That’s a pretty compelling reason to be standoffish! I was able to locate a few more small bits for you to add to your research. The one we seem to be looking for listed his date of birth as May 31, 1895 and date of death as January, 1979 (no specific day) meaning he was 83 when he died. His social security card was issued in the state of Illinois and at the time of death his last reported residence was in Bay Village, Cuyahoga, Ohio. The second Oscar Banker is listed as “Oscar H. Banker, Jr.” This appears to be our Oscar’s son. Oscar Junior was born on September 10, 1931 and died on June 16, 1998 meaning he was 66 when he died. Oscar Junior’s social security card was also issued in the state of Illinois and at the the time of death his last reported residence was in Villa Park, Du Page, Illinois. Your “LinkedIn” page notes that you live in the Los Angeles area. Using a generic Los Angeles zip code in the “Worldcat.org” online library catalog it notes that copies of Oscar H. Banker’s book, “Dreams and wars of an American inventor : (an immigrant’s romance)” are available at the UCLA (Charles E. Young) Research Library located on the UCLA campus, the UCLA Regional Library Facility located in downtown L.A., and at the Elvin and Betty Wilson Library at the University of LaVerne in LaVerne (a few miles outside of L.A.). While you’re not a student or alum of these schools and probably not able to check out materials from these libraries, most such libraries do not mind if you read the materials at their libraries. It’s something to do on an otherwise idle evening of Saturday. Furthermore, while Oscar Banker’s book is indeed Out-of-Print a quick search on Amazon.com and Alibris shows used copies available for sale for as low as $19.00. That definitely sounds like him — the dates sound reasonable, and the locations are about right. I’m not a UCLA alumnus, but I know some people who are students, so I may be able to figure something out with them. I know I could probably hunt up a copy of the memoir online, but I have a hard time justifying the cost, since I have no idea what it may contain. I’m definitely curious, but it’s an obscure memoir that was, as far as I can tell, essentially self-published by his former neighbor, so it may need to be regarded cautiously. I got on the SAE website, and this paper is available for download for $16.00, if you’re interested. I’m well aware of that, but I can’t justify spending $16 for an SAE paper sight unseen — there’s no way of knowing whether it even contains any relevant data. This article was especially interesting because of the insight into how your editorial process works. Thanks for the peek. What I have found fascinating about your articles in general is the approach, not strictly gear-head technical, but covering the wider environment including popular culture, marketing, corporate politics, etc. Nothing develops in a vacuum, and your research provides testimony to that fact. Of course, this can become an issue in any line of business. I recently read [i]Dealers of Lightning[/i] by Michael Hiltzik, a history of Xerox Corporation’s Palo Alto Research Center, where the graphical user interface as we know it was invented–and shown to Steve Jobs and some other people from Apple. A fascinating book for anyone interested in computers. Hello Mr. Severson. I am Oscar H. Banker’s grandson. My sister found this article while doing a random search of our grandfather’s name. I have a copy of Bob Hull’s book that you mentioned in your article, and may be able to get additional copies from family members. I also have a number of photos and some home movie film of some of his projects. It is very interesting that many of your conclusions, admittedly made without all the information, are surprisingly accurate. If you are interested, please contact me by email and I will try to provide you with any information we have. I can be reached at cwz23t at yahoo.com. Thank you for such a well written article. Love this sort of article. Looking forward to the followup. transmissions in the bus field,” to which we unfortunately don’t have access. I use the SAE website off and on; so I looked up the SAE article. Any article over 5 pages allows you a preview and thus you can yea or nay on coughing up the coin. This one in particular is more of an observation report on bus automatic transmission use and maintenance problems over a 10 year period. Notably he cites abuse by drivers, i.e. failure to allow transmission warm-up periods, parking in gear, etc. ; and maintenance problems with proper service procedures. He is quick to point out it is not about transmission design, citing other papers and dates; but points out that the auto idea is as old as the car itself, giving the 1904 Sturtevant as an example. I have read about Simpson and the Simpson Gearset, but this is the first I’ve read of Banker. Not surprising, many noteworthy names have had their contemporaries. By the way, going into the military in 1970; our inoculations were with the Med E Jet. The only things I hated worse than snakes(at first sight anyway) were needles. This tool helped a LOT!! As long as you did NOT flinch, it was quite tolerable.